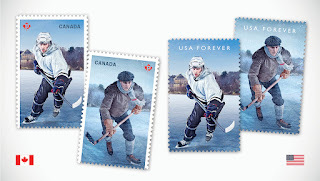 I've finally got to writing about the surprise joint stamp issue between United States and Canada to celebrate 100 years of National Hockey League. 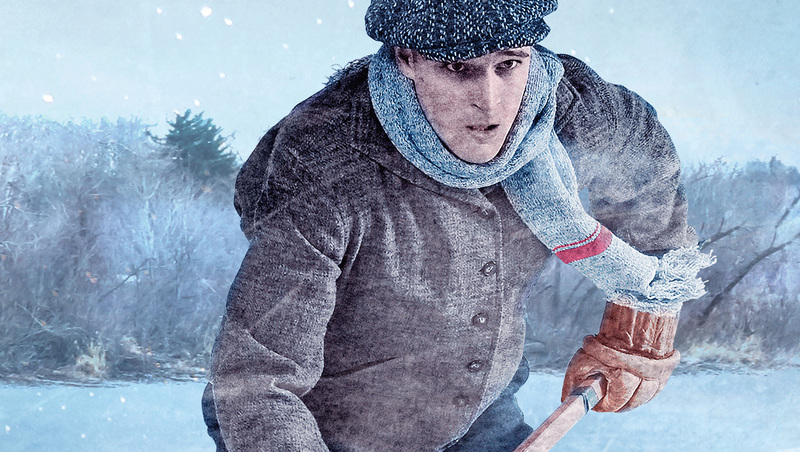 Coincidentally, it was exactly a century ago on this day, 26th November, when NHL was launched in Montreal, Canada. The joint issue was launched at a ceremony on 20th October 2017 in Detroit, Michigan, where officials from both USPS and Canada Post were present for the dedication. An announcement for this stamp was first made by USPS on 28th September in a press release. No prior information was available from either postal organizations. The stamp was issued in two designs, both countries using the same design. It is understood that the stamp set was designed by Subplot design, Inc (Roy White and team) with images supplied by K. C. Armstrong. Both countries deployed their art directors to guide preparation of the stamps viz. William J. Gicker (United States) and Susan Gilson (Canada). Canadian stamps were printed by Lowe Martin and the American stamps were produced at Ashton Potter. First day cancellations were provided in Detroit, Michigan and Windsor, Ontario. The two stamps were designed in a tete-beche format, where both the stamps are vertically connected. Each stamp shows a hockey player in action, one in modern hockey gear and its reflection on the other stamp in historical clothing that players must have worn in older days. 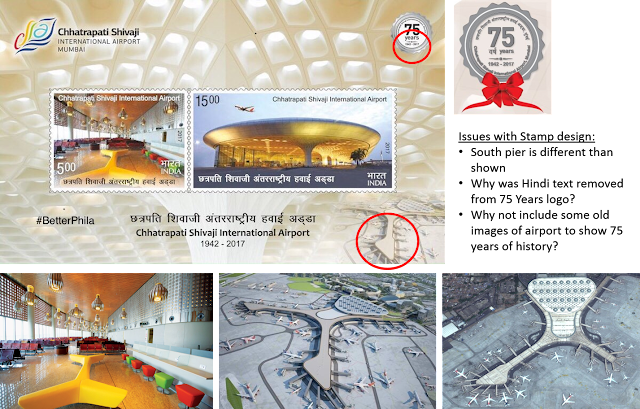 This design concept was shown in full on the souvenir sheets issued by both countries. 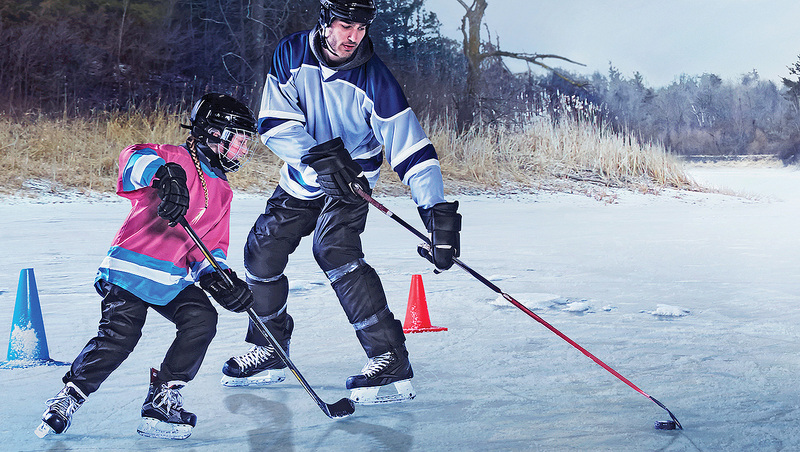 In addition to the players on a frozen ice pond, a man and young girl are also shown playing hockey. Hockey has been a favorite sport for a vast majority of North Americans and this stamp design seeks to convey that message. Canada Post issued the two stamps in a booklet of 10 self-adhesive stamps (5 of each design) and the souvenir sheet containing both the stamps in water-activated format. On the other hand, USPS issued the stamps in a pane of 20 stamps (10 of each design) and a souvenir sheet with both the designs. United States Postal Service only prints self-adhesive stamps. All Canadian stamps were sold as 'Permanent' rate stamps (currently C$ 0.85) and all States stamps as 'Forever' stamps (current rate $ 0.49). Quantities for stamps and other products are listed below. Stamps can be purchased from USPS and Canada Post. Background on Hockey (or 'ice' hockey): Hockey was likely developed as a sport in the 1800s in Canada as an alternate to field hockey. Two teams (six players each) attempt to score goals in their opposing ends using curved flat wooden hockey sticks and a flat rubber puck. Professional hockey leagues were organized in early 20th century, culminating in formation of the National Hockey League in 1917. Hockey is now played all across North America with local pick up leagues as well as NHL teams spread all over the continent. NHL currently has 31 teams on its rosters, divided in Eastern and Western Conferences, each with two divisions. 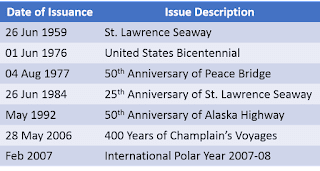 While writing about this stamp issue its worth mentioning that Canada and United States have issued several other joint issues, beginning in 1959. Sometimes there are different interpretations of the joint character of stamps between two countries, so leave a message below if there is some other information to share. 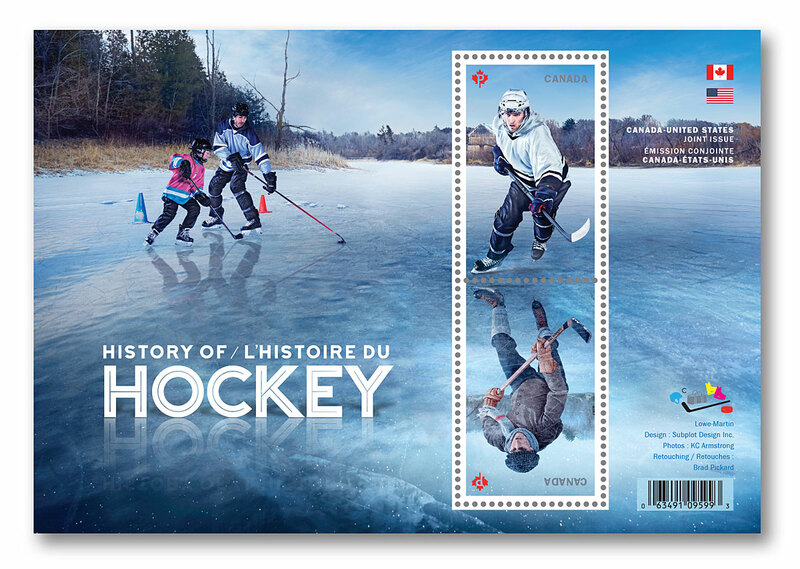 Original post (29 Oct 2017): Canada and United States recently issued joint stamps on the History of Hockey. Stay tuned for an update on the stamps and other products. I will add details as soon as I receive the stamps. Update (21 Jan 2018): This post has outlived its utility and I'm planning to move to a new version soon. I'll archive this one and create a similar post with the remainder of the proposed stamp subjects and add whatever I learn from 2018 onward. Happy collecting. Click here for the new version of this post. There are numerous stamp issues that were put out by India Post for release in a particular year, but have not yet been released. Since the subjects were shared with the public, I am assuming these issues were approved for release. Many of these morphed into different stamp subjects. 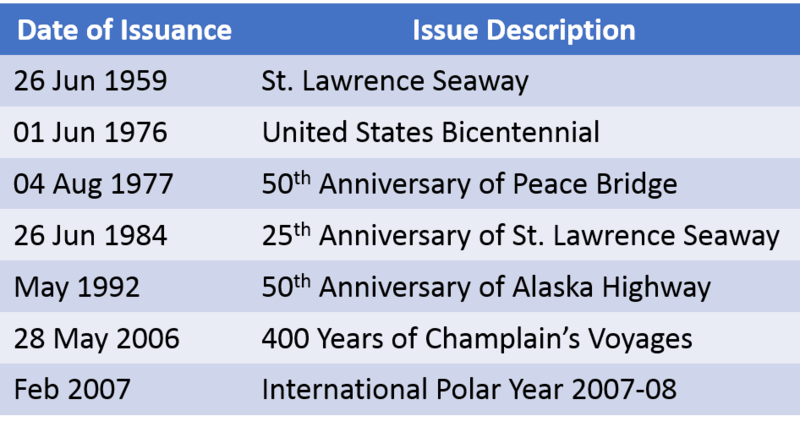 There could be various views about the list below, but one can be objective about it to help increase accountability and transparency in the process of selecting and issuing stamps.